This stunning Genevieve mini convex mirror set all are suspended on a gold coloured chain. 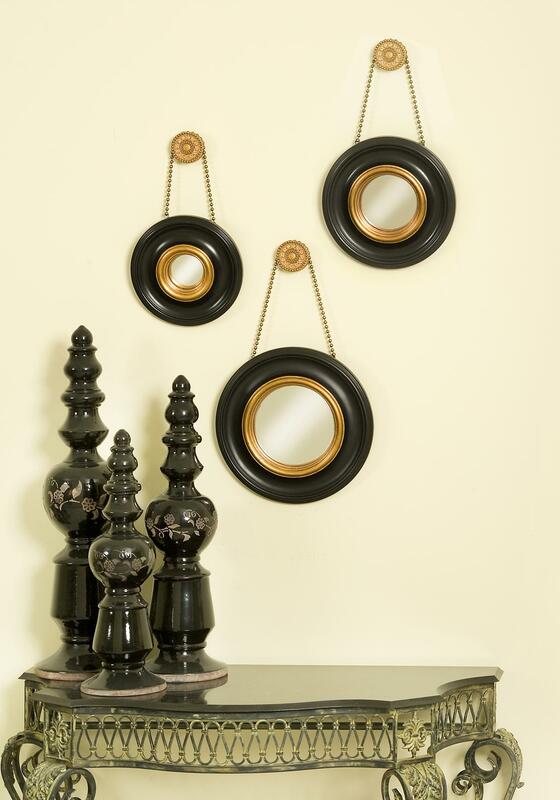 Each mirror has a black frame with and gold featured inside trim. 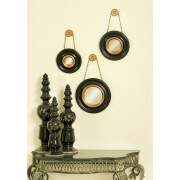 This set will add a hint of classiness to any home. Approximate Measurements: 14\", 12\" & 10\"